With seemingly very little fanfare from the press, Twisted Sister played what supposedly their “last” show ever on November 12, 2016. It took place in Monterrey, Mexico of all places. Why didn’t the band choose to end their career where it began — in the New York/New Jersey are? Anyway, with even less press, TS front-man Dee Snider released the third solo of his career in late October of 2016. I gotta give it to Dee. He likes to mix things up. Whether it’s A Twisted Christmas, Van Helsing’s Curse, or Dee Does Broadway… and, well, We Are the Ones is a mixed bag itself. Knowing nothing about this album going in, I expected something less campy, but heavier, than Twisted Sister. Overall, I expected it to appeal for fans of ’80s hard rock/metal. Well, We are the Ones is a decidedly more modern effort. “Modern” if you consider ’90s/early ’00s alternative rock/metal to be just that. “Close to You” might as well have been a song from Smashing Pumpkins or Filter or Silverchair. It’s not a bad song, but it’s pretty dated sounding. And, hey, Dee even covers Nine Inch Nails’ “Head Like a Hole”! To be fair, he does an acoustic cover of “We’re Not Gonna Take It”. The is surprisingly filled with modern rock/pop anthems. Or just pop. With its huge sing along moments and hip-hop pop beats and inspirational message, “Superhero” could easily be a Katy Perry song. I’m not really sure what Mr. Snider is trying to accomplish at this point in his career doing pop songs, but I guess he deserves to do whatever he wants at this point. “We are the Ones”, “Rule the World” and “Believe” are more “whoa-oh-oh” sing along anthems that you might hear from Imagine Dragons, Fall Out Boy, or Panic! At the Disco. This is a pretty disappointing album for me. I was hoping something that was a bit more straight forward and would feature some ferocious Snider vocals, but instead we’re left with Dee trying to play catch-up for what’s been happening in rock over the last 20-plus years. I love Dee Snider. I don’t love this album. So the lead singer of Twisted Sister and writer/director of the horror movie Strangeland wants to do a rocked-out Broadway album? It actually doesn’t sound so out of place. 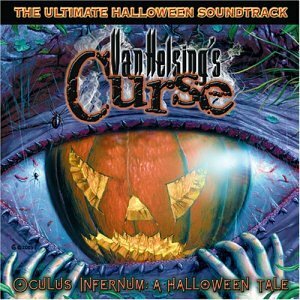 Dee takes chances (A Twisted Christmas and the Halloween of equivalent of Trans-Siberian Orchestra– Van Helsing’s Curse) and it seems to work more often than not and Dee Does Broadway works. I could also see Alice Cooper doing something like that and making it work as well. After all, Dee has always had a flair for the theatrics. That’s exactly what Twisted Sister was built upon. And it’s not like these Broadway numbers are played straight. They are given a heavy metal makeover and it all works incredibly well. “Whatever Lola Wants” sounds downright sinister with a heavy metal sheen added to it. Snider’s voice still holds up too and he’s not doing some cheap lounge lizard act here. Definitely one of the best rock/metal vocalists of all-time. Much like Kevin DuBrow, I’ve always felt his voice was bigger & better than the band he’s famous for. Dee’s duet with Cyndi Lauper on “Big Spender” is my favorite track here but there’s plenty of other worthy tracks. One of the most pleasantly surprising tracks of Dee’s duet with Clay Aiken on “Luck Be A Lady Tonight”. You figure if any song is gonna play it safe and traditional, it’ll be the Clay Aiken song. And it starts out that way. Then it turns into a blistering heavy metal track with Dee Snider sounding absolutely venomous and sharing some heavy metal screaming with Clay (who actually does a decent job!). 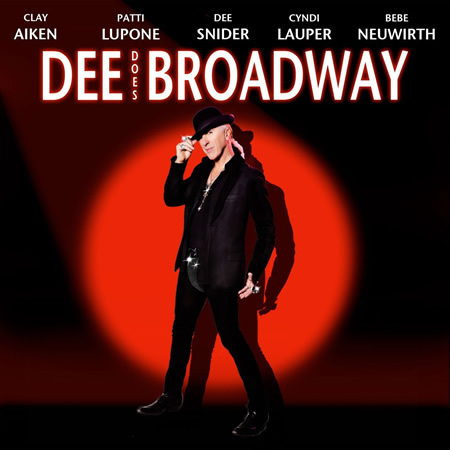 Dee Does Broadway is a really fun album that finds a middle ground between metal and musicals. Worth seeking out if that sounds like your type of thing. Following Razor & Tie’s success with Monsters of Rock and Monster Ballads, here comes Monster Madness! 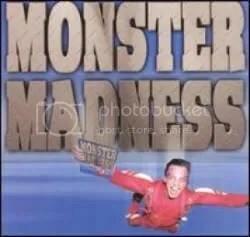 Monster Madness is essentially Monsters of Rock 3 (Monsters of Rock 2 was released a few months before this album) and is certainly superior to MOR 2 (which was already scraping the bottom of the barrel) and is just as good as the original MOR album in my opinion. I mean, just look at the songs here. “Dr. Feelgood”, “Unskinny Bop”, “I Remember You”, “I Wanna Rock”, “Wait”, “Bang Your Head”, “Hole Hearted”, “Don’t Treat Me Bad”… It’s a hair metal dream! Even the odd inclusion of Queensryche and Faith No More is welcomed because those are killer songs. The album takes me back to my youth. No, not the ’80s but the year 2000 when I bought this album and my girlfriend at the time loved it because it had Lita Ford’s “Kiss Me Deadly” on it. I still remember her getting all excited when she heard it for the first time in years. Just a great “feelgood” album filled with major acts and songs. Ahh… The hair metal compilation that gave rise to all the rest of the imitators and countless sequels from Razor & Tie. Razor & Tie initially pushed many of their compilations (love songs, country, 80s, etc.) through their 800 number. I remember many of these ads over on cable stations like TBS and WGN. 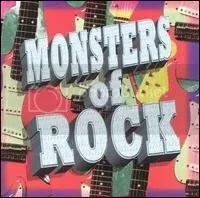 I *think* there was even a 2-disc version of Monsters of Rock that was only available by ordering over the phone. Anyway, tons of classics here, though I would argue the inclusion of .38 Special, Autograph, Night Ranger and Living Colour (I really hate “Cult of Personality” anyway). You can’t go wrong with these songs. Though I would eventually own all the albums that these songs were taken from, this was a great introduction for me to the genre when, up to that point, I had really only gotten heavy in GNR, Poison and Bon Jovi. My fondest memory is playing this one constantly when my family moved from Virginia to Florida in June 1998. I had no friends and nowhere to go and this album received CONSTANT play in my room that summer. Also, Monsters of Rock gave me a great “I REMEMBER THAT SONG!” moment with Alice Cooper’s “Poison”. I had totally forgotten about that massive comeback hit for The Coop. This album pretty much set the standard for pop metal comps and usually knockoff CDs basically just took this tracklisting and hit ‘shuffle’. 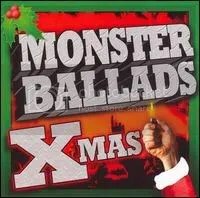 Another album in the long-running Monster series from Razor & Tie, this time with a Christmas theme, although calling it “Monster Ballads Xmas” doesn’t make much since because most of these songs are not ballads. Why not just “Monster Xmas“? Or get really old school with “Monsters of Rock Xmas“? Anyway, I picked the year of it’s release at Target, of all places. It’s a decent release, though it pales in comparison to 2008’s excellent We Wish You a Metal Xmas and a Headbanging New Year from Armoury Records. I don’t have to tell you that Faster Pussycat, as always with compilations and cover albums, sticks out like a sore thumb here with their more recent and improved industrial sound. Just an awful rendition of “Silent Night”. What is it with “Silent Night” getting so screwed up on these metal Xmas compilations? Queensryche does a pretty bad version of “White Christmas” as well. Geoff Tate’s voice sounds horrible here. Like someone trying to sound like Edguy’s Tobias Sammett but totally failing. Dokken’s version of “Santa Claus is Comin’ to Town” is actually pretty funny to me because of the fact that it sounds EXACTLY like a Dokken song. They totally made it their own and you’d swear Don wrote the song himself. Twisted Sister’s Jay Jay French, certainly inspired by the Christmas spirit after the success of A Twisted Christmas, executive produced.